iPhoneModding - Apple announces the iPhone 4S (not the iPhone 5)! Today Apple stunned all the tech blogs, forums and all iPhone enthusiasts alike. Apple announced the new iPhone 4S! The design of the latest iPhone is the same design as the iPhone 4 but with new and improved internals. 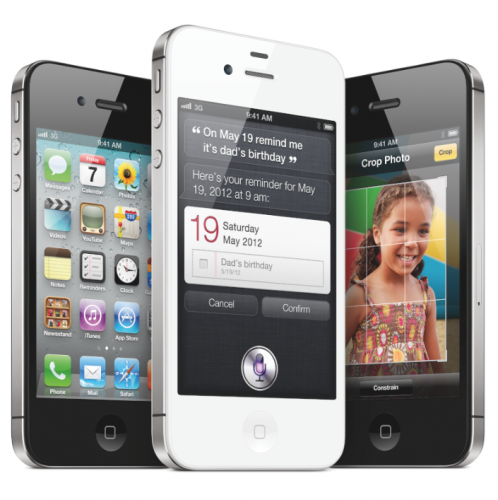 The new iPhone 4S will be available for pre-order on October 7th and available October 14th. Not only will it operate on the AT&T and Verizon networks, but it will also be available on Sprint's network. Thanks to the rumour mills running at full speed the expectations were very high. The announcement of the 4S did not meet those expectations and lots of people feel being let down by Apple. Actually they have been let down by taking speculation for real, more their own fault then Apple's. I am still in the process of making up my mind about the 4S, but I can not see much wrong with good hardware upgrade in a successful case. Motorola did that with the V3. The really funny thing is if Apple would had put the same hardware it uses in the 4S in a new case and labeled it iPhone 5 everybody would have gone "WOW!". That does not change anything on the hardware side, only the way a book is judged by its cover, not the content!